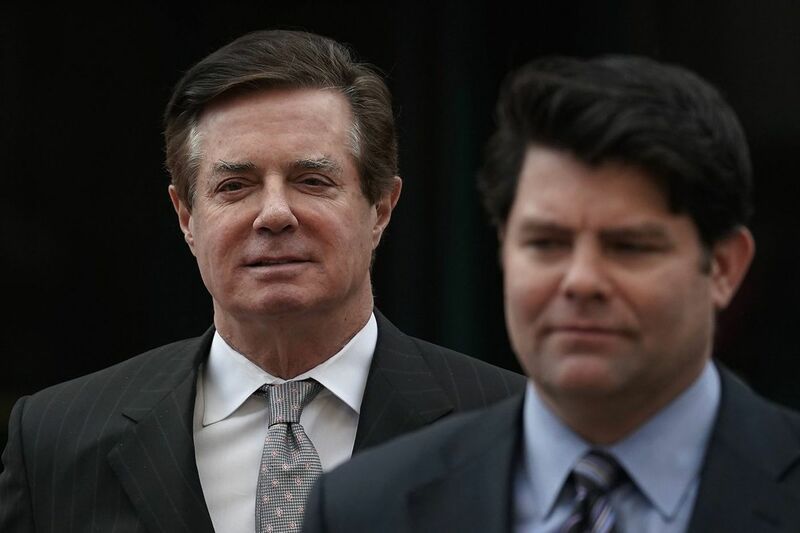 Longtime friends of Paul Manafort are asking supporters for cash to cover his massive legal fees as he continues to battle a laundry list of charges relating to shadowy business dealings in Ukraine. The ex-Trump campaign chairman has pleaded not guilty to all the charges against him, which include conspiracy against the U.S., money laundering, bank and tax fraud. The “Paul Manafort Defense Fund” states the two federal cases against him have prompted “tremendous legal costs” and he’s starting to run out of cash. “The multiple investigations have been incredibly expensive for dozens of people, chief among them, Paul Manafort,” Michael Caputo, a former Trump campaign adviser and one of the people behind the Manafort fund, told the Daily News on Wednesday. Manafort, 69, was the first Trump associate to be indicted by special counsel Robert Mueller last year. He has put up properties, cash and other assets to meet his $10 million bail. Caputo, who has been interviewed by Mueller’s investigators, speculated the special counsel is aggressively targeting Manafort in hopes he will agree to a plea deal and spill information on President Trump. Another reason Manafort has struggled to pay his legal bills is his being unable to leave his house because of the strict conditions of his house arrest, Caputo said. “This has adversely impacted his business,” Caputo said. Mueller’s indictment against Manafort relates to lobbying work he did for former Ukrainian President Viktor Yanukovych, a pro-Kremlin politician who lives in exile in Russia. Yanukovych is wanted in his home country for high treason, but Russian President Vladimir Putin is protecting him against extradition. Mueller is investigating possible collusion between Trump’s campaign and the Kremlin, and has aggressively pursued suspicious ties between Russia and associates of the President. In addition to Manafort, Mueller has indicted former Trump campaign advisers Rick Gates and George Papadopoulos and ex-national security adviser Michael Flynn. Contrary to Manafort, Gates, Papadopolous and Flynn have all pleaded guilty and are cooperating with Mueller’s investigation. Gates, a longtime friend of Manafort who worked closely with him on joint business ventures, pleaded guilty to conspiracy and lying to the FBI. A person familiar with the matter recently told The News that Gates’ plea deal could hurt Manafort. “He shouldn’t have turned his back on his friend,” the source said.